Extensive studies of certain GPCRs, such as rhodopsin (a light-activated GPCR) and P2-AR (a ligand-activated GPCR), established a highly conserved mechanism that regulates the functional activity of many GPCRs [3-5,9]. This mechanism involves the phosphorylation of receptors by a specific family of G-protein-coupled receptor kinases (GRKs) followed by the interaction of phosphorylated receptors with cytoplasmic accessory proteins called arrestins. Arrestin-bound receptors are unable to couple to heterotrimeric G proteins and disrupt the pathway of GPCR-mediated signal transduction at the earliest stage (Fig. 1A and B). Biochemical studies of signal transduction in isolated rod outer segment preparations identified a protein, rhodopsin kinase (or GRK1), that inhibited the ability of light-activated rhodopsin to activate transducin. Light-activated rhodopsin is a good substrate for phosphorylation by rhodopsin kinase, whereas rhodopsin that has not been activated by light is a poor substrate . Phosphorylated rhodopsin was only partially inhibited in activating transducin. A second protein, visual arrestin, was identified from cytoplasmic fractions of rod cells according to its ability to completely inhibit, or arrest, activation of transducin by phosphorylated rhodopsin . Studies using functional reconstitution of P2-AR-mediated activation of adenylyl cyclase provided strong evidence for a role of phosphorylation in mediating rapid desensitization of a ligand-activated GPCR . Biochemical purification of the cytoplasmic activity responsible identified a protein called P adrenergic receptor kinase (BARK, or GRK2), which preferentially phosphorylates agonist-occupied receptors  and is similar in structure to rhodopsin kinase . Biochemical reconstitution studies indicated that increasingly purified fractions of BARK exhibited reduced ability to attenuate P2-AR-mediated signal transduction in reconstituted membrane preparations. Further analysis of this effect led to the identification of a distinct protein component that was lost in increasingly purified fractions and which increased functional desensitization when added back to highly purified fractions of BARK [15,16]. This protein cofactor turned out to be a protein similar to visual arrestin and was therefore named nonvisual arrestin, or P arrestin (PArr). cDNA cloning has identified a family of arrestins involved in regulating the function of phosphorylated GPCRs . 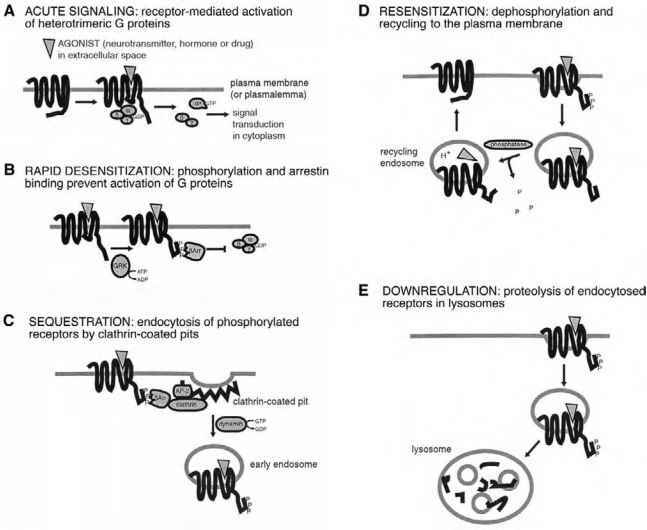 Figure 1 Major mechanisms of GPCR desensitization and endocytosis. (A) Classical pathway of GPCR signaling via receptor-mediated activation of heterotrimeric G proteins. 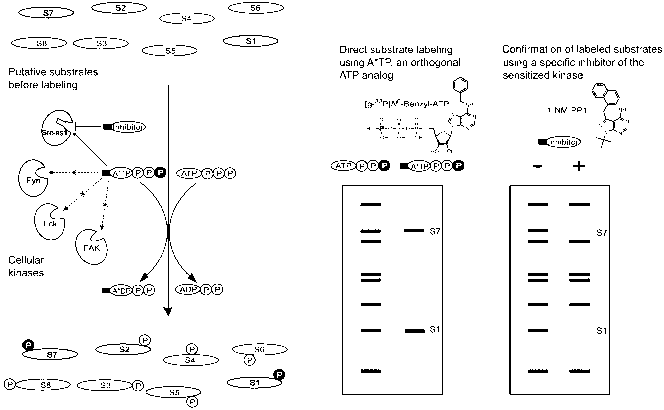 (B) Rapid desensitization (functional uncoupling) of GPCRs mediated by GRKs and arrestins. (C) Role of GRKs and nonvisual (beta-) arrestins (PArr) in promoting endocytosis of GPCRs via clathrin-coated pits. (D) Role of endocytosis in mediating resensitization of GPCRs. (E) Role of endocytosis in mediating downregulation of GPCRs by proteolysis in lysosomes. transduction. In this way, functional desensitization could be modulated both by the strength and kinetics of receptor activation. Other kinases, such as the so-called second-messenger-regulated kinases, are also implicated in mediating desensitization of GPCRs. For example, the P2-AR can be phosphorylated by cyclic-AMP-dependent protein kinase (PKA). PKA-mediated phosphorylation of a single residue located in the third intracellular loop of the P2-AR impairs the ability of the receptor to couple to Gs and thereby attenuates receptor-mediated activation of adenylyl cyclase [18-20]. Phosphorylation of this residue is thought to impair receptor-G protein coupling directly, without requiring any known protein cofactor such as an arrestin. An important feature of PKA is that this kinase can phosphorylate p2-ARs whether or not they have been activated by ligand, in contrast to the preferential phosphorylation of agonist-activated receptors by GRKs. Because PKA is activated by cyclic AMP (a signaling intermediate produced as a result of P2-AR activation), PKA-mediated phosphorylation of the P2-AR is an example of feedback inhibition by a second messenger. In addition, because activation of any other receptor that stimulates adenylyl cyclase can also activate PKA, phosphoryla-tion of the P2-AR by PKA is generally considered to be a paradigm for heterologous desensitization—that is, desensi-tization of one type of GPCR that is induced by activation of another (heterologous) receptor. Heterologous desensitiza-tion of GPCRs by kinases such as PKA, in contrast to homologous desensitization mediated by GRKs, is thought to play important roles in integrating and controlling "cross-talk" between diverse signaling pathways in the same cell. Pharmacological studies of the process of sequestration led to the hypothesis that certain GPCRs are removed from the plasma membrane within minutes after agonist-induced activation [6,21]. 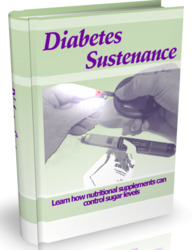 Biochemical and immunochemical methods have demonstrated that this is indeed the case, both in cultured cells and certain native tissues [22-24]. Rapid endocytosis of the P2-AR is mediated by an agonist-dependent lateral redistribution into clathrin-coated pits . Coated pits then pinch off from the plasma membrane to form endocytic vesicles, a process dependent on the cyto-plasmic GTPase dynamin [26-29]. Subsequent studies have demonstrated that regulated endocytosis of several other GPCRs is also mediated by a dynamin-dependent mechanism, suggesting a conserved role of clathrin-coated pits in mediating endocytosis of many GPCRs. Clathrin-coated pits play a general role in mediating rapid endocytosis of a large number of cell-surface components besides signaling receptors, many of which are endocytosed constitutively (i.e., in a ligand-independent manner). This has raised the question of how GPCR endocytosis is regulated by ligands. It turns out that GRKs and arrestins, in addition to their previously established role in mediating functional uncoupling of receptors from heterotrimeric G proteins, also play an important role in regulating endocyto-sis of certain GPCRs. In particular, nonvisual (or P-) arrestins can promote the concentration of phosphorylated receptors in coated pits by binding simultaneously, via distinct protein interaction domains, to both receptors and the clathrin-containing lattice structure, thereby functioning as adapters linking specific GPCRs to endocytic membranes [30,31] (Fig. 1C). Despite the highly conserved nature of this endocytic mechanism, there are also examples of GPCRs that either are not rapidly endocytosed or are endo-cytosed by a different mechanism . This diversity of GPCR membrane trafficking, although not yet understood at the mechanistic level, has important implications for the physiological regulation of distinct GPCRs .